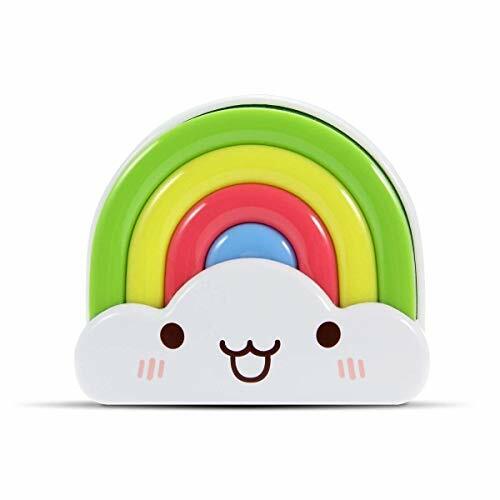 Comes with 3 energy efficient LEDs, this mini rainbow night light emits soft light from the colorful rainbow lampshade to soothe your kids from darkness fear and find their way during night. Slide the switch on the back to select working mode and plug in a wall power outlet, it's definitely a best choice for your kids. Comes with smiley face and rainbow pattern and portable mini size, it's surely favored by kids and can be flexibly carried to anywhere for convenient use. Turn on automatically and last all the time when ambient brightness is below 5lux. Turn on automatically and last 150s ONLY when ambient brightness is below 5lux AND greater than 60 dB sound is detected. Safe to Use: Made of ABS and PS non-toxic materials, cool to touch, it¡¯s a beautiful wall decoration during the day and activated a gorgeous colorful glow at night. Soft Night Light for Babies: Soft light from the smiley face and pastel colors lampshade helps soothing kids away from darkness fear and won¡¯t dazzle their eyes.